Es Cubells is a small village in the south west of the Spanish island of Ibiza. The village is in the municipality of Sant Josep de sa Talaia. The village is reached along the designated road PMV 803-1. 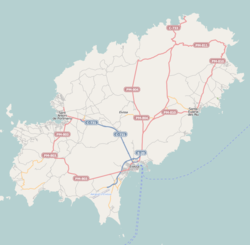 The village is 10.6 miles (17.1 km) south west of Ibiza Town and 8.1 miles (13.0 km) of Ibiza Airport. This page was last edited on 19 December 2018, at 23:24 (UTC).